Oh, Daniel Snyder and the Washington Redskins. You’re such a disaster. 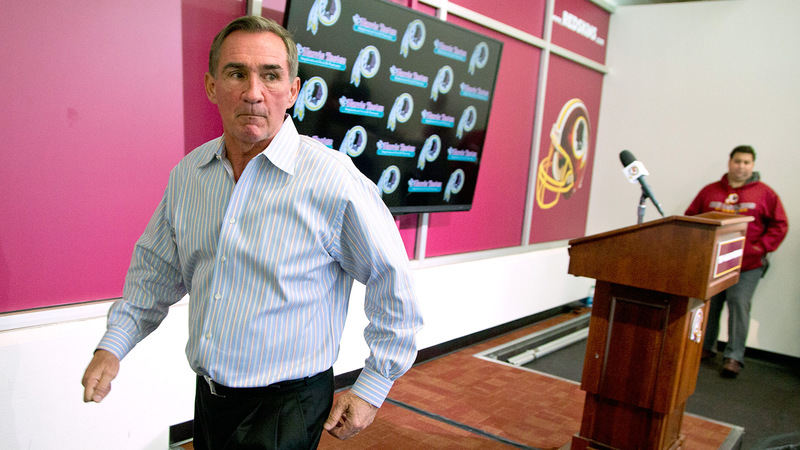 The team fired coach Mike Shanahan on Monday, which wasn’t a surprise at all. What also wasn’t much of a surprise? How it all went down at Redskins Park. The whole process played out pretty much like the team’s season this year. Need one word to sum it all up? Let’s go with embarrassing. It all started with Mike Shanahan getting stuck in traffic on his way into the team’s facility. Speaking of Shanahan's car, Skins kept media in a vehicle line before being allowed in. Shanahan got caught and delayed in that weird line. Well played, Redskins. Top-notch stuff. But that was just the beginning. Things only got better/worse once Shanahan got through the traffic jam. Ready for a bizarre lesson in how not to handle a sticky situation? Bizarre scene at Redskins Park, where reporters told they can't look or take photos through press room windows as interns patrol lot. Covers on press-room windows scotch-taped in place. Interns told they're security, not PR today. Let that one sink in for a second. Let’s get back to that Alfred Morris nugget for a bit. Why didn’t he want to talk? Skins make media peer thru pull-down curtains, Shanny calls franchise NFL's "best," Alfred Morris can't talk bc he's gotta hit Chick-fil-A.. These are the days that reveal the true, unfettered, undeniable silliness of some NFL teams. Reporters now told they can't look thru windows or go outside. It's not a PR matter now, I was told, it's a security issue. WHAT??? There are guards in the parking lot patrolling like Secret Service. 2 interns, filling as security for some reason, carrying walkie-talkies. Security supposedly to prevent a media rush of Shanahan's exiting car. Shanahan, who already met w/media. Absolutely no one cared about car. Alfred Morris said he wasn't talking today because he had to catch Chick-fil-A breakfast. Robert Griffin III just packed up and drove out his SUV out of the parking lot. There goes the happiest man at Redskins Park. Mike Shanahan just left Redskins Park and waved.